The daughter of artistically inclined parents, a woodworker and a flower farmer, Leda Hermecz grew up in tiny Silverhill, Alabama, located between Robertsdale, an agricultural town, and Fairhope, an artist colony on the shore of Mobile Bay. She left Robertsdale High School after two years in favor of home schooling. "I got an internship with the Mobile Bay Estuary to study marine science," she says, "and a job at a restaurant in Fairhope, where I learned pastry." She joined a small professional theater company and went on to earn a degree in theater at the University of Alabama in 2001. She worked on a farm in California that summer, then came to Eugene, where her brother was in law school. She found a job at Metropol Bakery, and, after two years, began work at Sweet Life Patisserie. 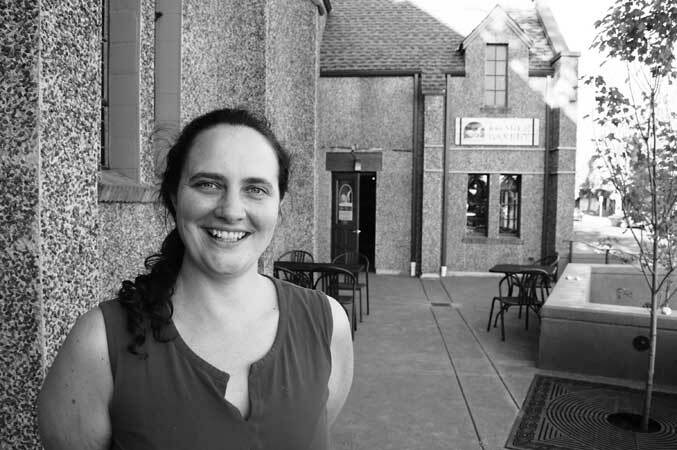 "A year later, I opened my own bakery, the Greenhouse Cafe in Walton, with a partner," she says. "We were first in Lane County to grow a portion of our own food." She continued at Sweet Life part-time, and when the partnership ended, she returned. "I took it on myself to help the company with sustainability issues," she says. "We worked on recipes to keep food waste down, and we went GMO-free." Since 2011, Hermecz has opened Food industry Resources for Sustainable Transitions (FIRST), a food consulting business, and 100 Mile Bakery, offering breads and goodies made from locally sourced ingredients. Both are located in the Sprout! building, 418 A Street in Springfield. "I bake with local grains," she says, "and use only honey as a sweetener." Bakery hours are 9-6 Monday-Thursday and 9-7 Friday-Saturday.